The term "Shaivite" is overused nowadays. For instance, Iyer Brahmins are often called Shaivites, but they're actually followers of Adi Shankaracharya's Smartha sect (which I discuss here and here), and simply adopt Shiva as their Ishta Devata. True philosophical Shaivism is relatively rare nowadays (in contrast to Vaishnavism which is pretty common). I discussed one genuine Shaivite sect, the Lingayat sect of Basava, in my answer here. But my question is about a more famous sect of Shaivism, known as Shaiva Siddhanta. For those who don't know, Tirumular is one of the most famous Nayanars. My question is, is it universally agreed that Tirumular believed that new souls could be created, or are there alternate interpretations of this verse? [T]he birth of Jiva is an impossibility that deeds go for nothing and that something accrues from what is not done. The idea is that if there were a first birth of soul, then it would incur rewards and punishments even though it has not yet done any deeds to merit them. 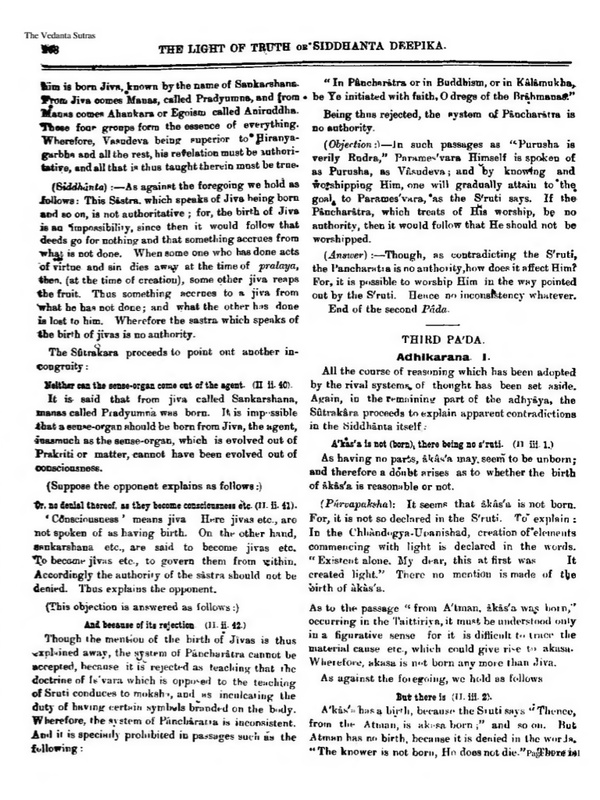 In any case, given that Srikantha was part of the Shaiva Siddhanta school and thus believed in the authority of the Nayanars, how would he reconcile his views with Tirumular's verse above? Apart from the Saiva Siddhanta Church, most other followers of Shaiva Siddhanta believe in the interpretation of the Nayanars' poems given by Meykandar. Does Meykandar interpret Tirumular's verse differently than the Saiva Siddhanta church, in a way that does not imply that souls can be created? Browse other questions tagged philosophy brahma-sutras shaivism shaiva-siddhanta . Did Tamil Vaishnavites (Iyengars) descend from Shaivites (Iyers)?